CINCINNATI, OH (July 18, 2018) – The National Underground Railroad Freedom Center announces the return of a major exhibition today, MANDELA: THE JOURNEY TO UBUNTU. The announcement is made on Mandela Day, an international day of action and remembrance honoring the iconic freedom fighter. The exhibition, previously on exhibit in 2017, will reopen to the public on Saturday, September 1, as the museum offers a series of programming in honor of the centennial of Nelson Mandela's birth. The museum joins Mandela 100, a year of commemoration engagement lead by The Nelson Mandela Foundation, challenging and inspiring organizations and individuals around the world to, "be the legacy." Admission for the exhibit is $10 per person with general admission, $5 for members. National Underground Railroad Freedom Center members receive free admission to the exhibit on Sundays. The exhibition is sponsored in part by John and Francie Pepper. MANDELA: THE JOURNEY TO UBUNTU will be on exhibit thru January 1, 2019. MANDELA: THE JOURNEY TO UBUNTU is in partnership with South African documentary photographer Matthew Willman - who was commissioned by The Nelson Mandela Foundation during the last ten years of Mandela’s life. The exhibit commemorates the life and legacy of former South African President Nelson Mandela through photographs by Willman as he revisited many of the locations that played an important role in South Africa’s route to racial equality and Mandela’s personal fight for freedom. MANDELA: THE JOURNEY TO UBUNTU also features artifacts from Mandela’s life on loan to the National Underground Railroad Freedom Center from The Nelson Mandela Foundation. MANDELA: THE JOURNEY TO UBUNTU program offerings will include community conversations, film screenings, and Mandela Fridays – where visitors can go on weekly guided tours with museum staff. "We are incredibly excited to bring MANDELA: THE JOURNEY TO UBUNTU home to Cincinnati and share this powerful experience once more," says Jacqueline K. Dace, Deputy Director of the National Underground Railroad Freedom Center. "Mandela's story doesn't begin or end in Mvezo Village, Johannesburg, Pretoria, or Robben Island – his life is one of global significance impacting our common humanity, bridging divides that seemed insurmountable." MANDELA: THE JOURNEY TO UBUNTU opens to the public on Saturday, September 1. Admission for the exhibit is $10 per person with general admission, $5 for members. National Underground Railroad Freedom Center members receive free admission to the exhibit on Sundays. The exhibition is sponsored in part by John and Francie Pepper. For more information about exhibits and programming at the National Underground Railroad Freedom Center, visit freedomcenter.org. 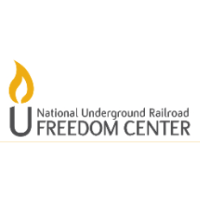 The National Underground Railroad Freedom Center opened in August 2004 on the banks of the Ohio River in downtown Cincinnati, Ohio. Since then, more than 1.3 million people have visited its permanent and changing exhibits and public programs, inspiring everyone to take courageous steps for freedom. Two million people have utilized educational resources online at freedomcenter.org, working to connect the lessons of the Underground Railroad to inform and inspire today’s global and local fight for freedom. Partnerships include Historians Against Slavery, Polaris Project, Free the Slaves, U.S. Department of State, and The International Justice Mission. In 2014, the National Underground Railroad Freedom Center launched a new online resource in the fight against modern slavery, endslaverynow.org.